The Cortland County Family YMCA is committed to serving both our members and the local community as a whole, but we can’t do it alone. Your gift of time or monetary donation allows us to meet our current goals and paves the way for new ways to do more. All kids deserve the opportunity to discover who they are and what they can achieve, under the guidance of caring adults who believe in their potential. We see every interaction with young people as an opportunity for learning and development–all grounded in the Y’s core value of caring, honesty, respect, and responsibility. With our doors open to all, we bring together people from all backgrounds, to support those in need. We take on the most urgent needs in our community and inspire a spirit of service in return. Our members, volunteers, supporters, and staff demonstrate the power of what we cha achieve by giving back together. 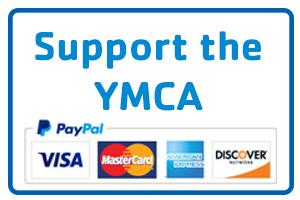 Every dollar donated to the Cortland YMCA has a lasting impact on the people of Cortland County. If you’d like to donate for a specific purpose, please talk to Dave Hamilton or Matt Kemak by calling (607) 756-2893.